Logos are the centerpiece of a company's brand. A logo is a graphic element, symbol or icon designed to serve as the emblem of a company. Logo designing creates immediate viewer recognition and serve to promote the company and to attract potential customers. 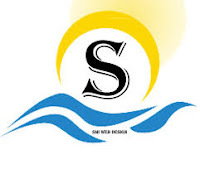 Sakthi Infotech provides well branded and good quality desings and services for every customers. It is the identifying emblem that people will recognize first and foremost that stands proud as a statement of your website, your online presence and your company such as a logo design.Logo designing service empowers your business to communicate using both visual (symbol or a graphic style) and auditory (your business name) cues. With a logo, you can use a symbol or font style to convey information about your business. We are being applauded for providing our clients with the best Logo Design solutions. With the assistance of our creative team we are able to provide services of logo designing as per their detailed specifications of the clients. Furthermore, we design the logo for the clients while taking into consideration the nature of their business. Designed using latest softwares the offered services are being admired for their accurateness and attractive designs. We have a wide range of designs to offer that can match the ideas and requirements of our clients. Creative designing in the context of business. Affordable prices for high-quality designs. Designing using vector graphics, so the logo can be resized without loss of fidelity. Design with the right combination of style and simplicity. Catchy, innovative design that is unique. Created by experienced logo designers. Making your corporate brand stand above its competitors. Colors usage based on meaning and usage. Spot or limited colors are used.